Want to know what a twenty something events organiser thought of the week? Hannah is a twenty something party planner and ex-sailing industry employer from Clapham in London, UK. We asked her to tell us what she thought of the week and not to hold back… I think we got that! 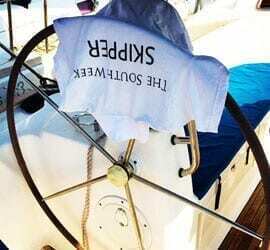 Whenever you come away to experience something new, true adventure travellers will attempt to leave expectation at the airport and see where the wind takes them; which was my aim this week (rather literally) when asked to review The South Week, a new sailing company filling a gap in the yacht party week market in Turkey. Having worked and sailed the area extensively, it does make it hard to create a blank slate, expectation and comparison is inevitable when approaching this event. So while not entirely sure what this week would entail I did have, against my adventurous travelling nature, some level of expectation – and in the end, I am glad of these expectations, because it allowed The South Week the opportunity to exceed them in ways I would not have expected. 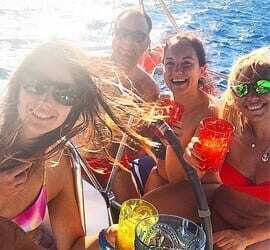 Firstly you quickly realise that this isn’t simply holiday company taking you sailing; this is past, present and future Olympic level Turkish sailors, with their friends and the party elite of Istanbul showing you a good time. This is part of what makes it so special, because you feel like an insider. The South Week route took us to several places I have been before; the two lively and beautiful Greek islands of Rhodes and Symi, and some delightful Turkish bays like charming Çiflik and stylish Selimiye. Despite being familiar with Turkey and the area, travelling with The South Week is a completely different experience and not just because they know all the best spots! We had a spontaneous night rave hosted on our raft of yachts in a warm gusting wind with professional DJ and the light show to match, we waged water fights out at sea like the pirates we trained to be, and had a beach party in a private bay with not a soul but us and the stars. 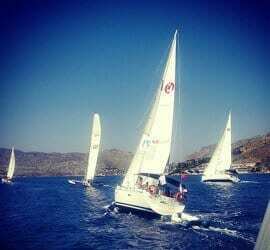 The highlight for me had to be our final night before returning to Marmaris, where we set up in the sailing paradise of Bozburun bay and spent the afternoon sailing on the Turkish national team’s racing yachts before being shuttled to Bozburun Yacht Club for an exquisite dinner. Currently the organisational infrastructure isn’t quite there, and may never reach German level efficiency (if that’s your thing), but if you’re relaxed and want to experience somehing genuine “the Turkish way” then relinquish your trust and your holiday to this group of friends because they know their country, and they know how to have a good time. This week isn’t a mass of twenty-somethings cabin-hopping all week, it is definitely about partying hard and having a good time, but it is more intimate, exclusive, and I think better like this. So bring your friends, bring your sports team, or bring your sailing club, and spend a week feeling like you have been personally invited to party with the best of the young Turkish yachting elite as they show you the best their home sailing playground has to offer. 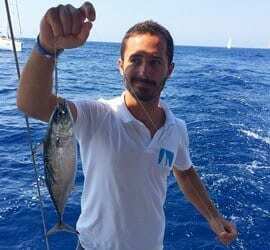 If you want to experience something new, something different and exclusive, beyond what the standard sailing weeks can offer you then be bold, come with an adventerous spirit and be shown Turkey by some of it’s best. Come with your expections, or come without, because they will be exceeded. Oceans of comfy sailing, gotta love that, every point of sail a broad reach!